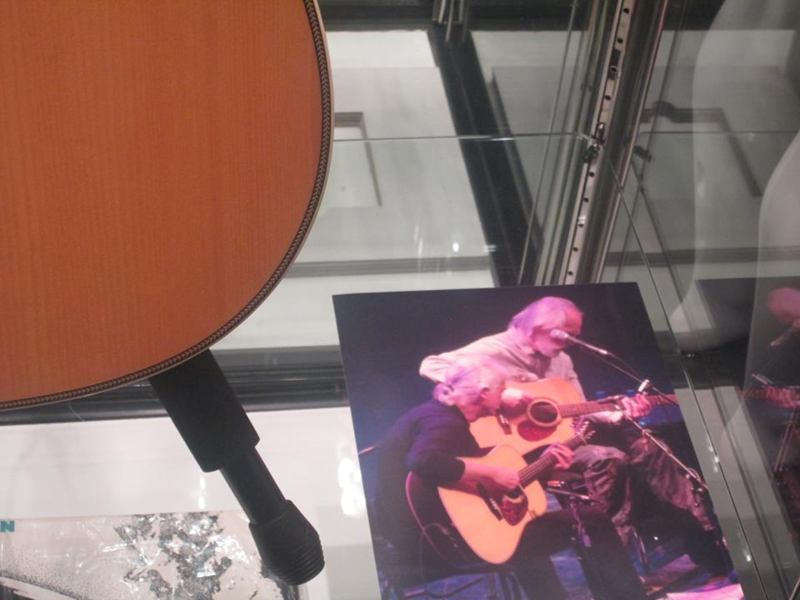 The Martin D28 acoustic guitar owned and used by Jimmy Page and donated by him in aid of the ABC Trust raised a remarkable £21,000 at the Bonhams Entertainment/Memorabilia sale this afternoon July 2nd. 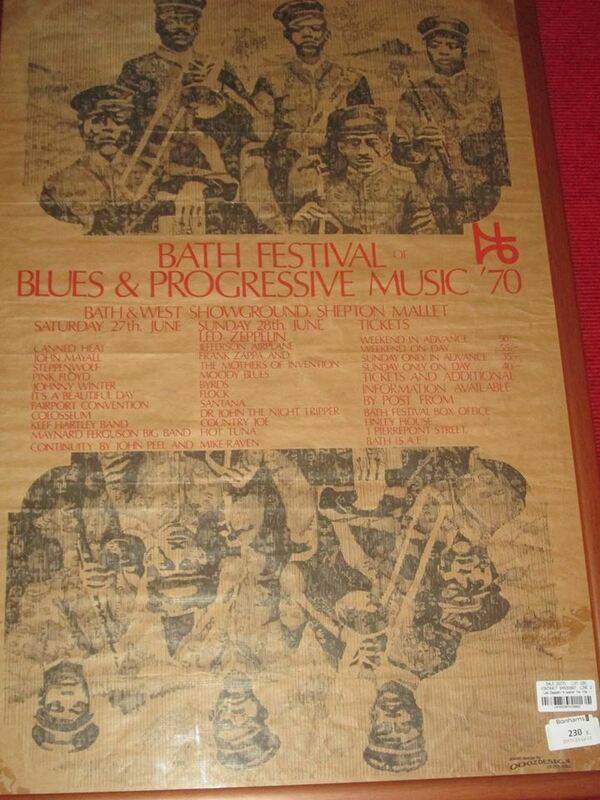 Lot 230 – 1970 Bath poster not listed as sold. 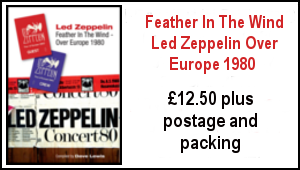 The big attraction for me was of course the Martin D28 acoustic guitar which Jimmy Page has donated in aid of the ABC Trust – The estimate price for the auction is £10,000 to £15,000 – $16.000 -$23,000 –the sale takes place tomorrow. 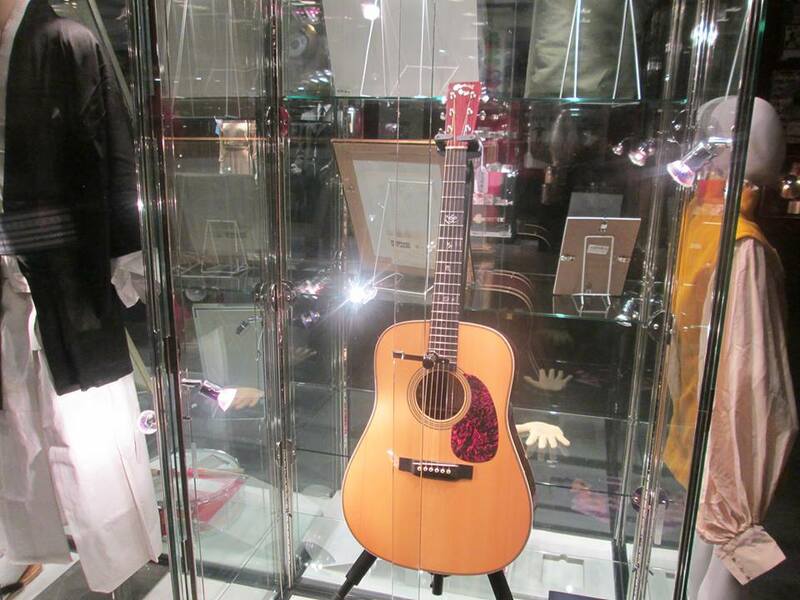 More of Jimmy’s Martin D 28 acoustic guitar at Bonhams last night. 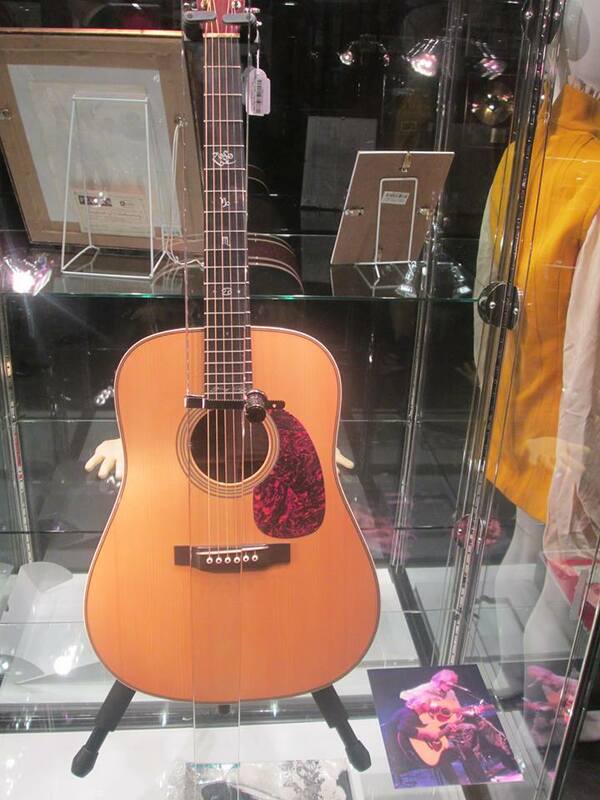 Jimmy acquired the guitar in November 2006. 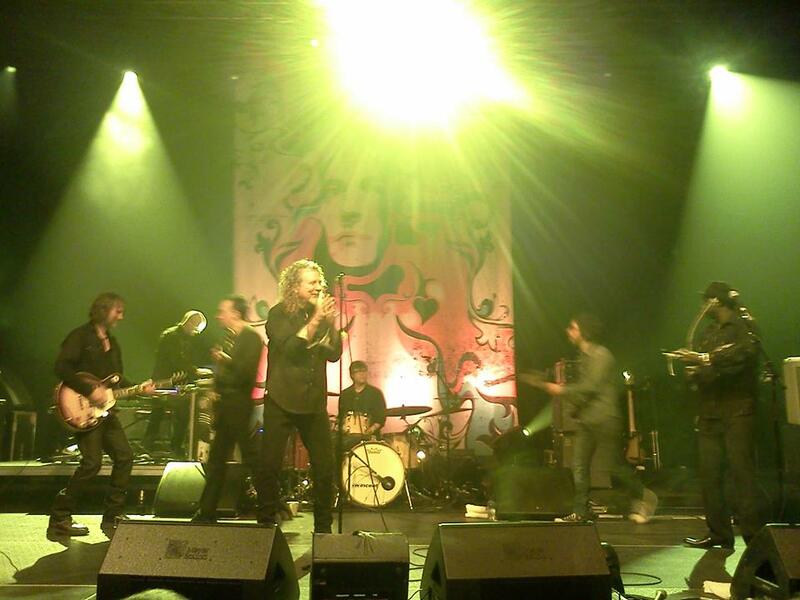 The photo showing Jimmy playing it at the RoyHarper 70th birthday gig in 2010 was taken by Ian Avey for TBL issue 31. 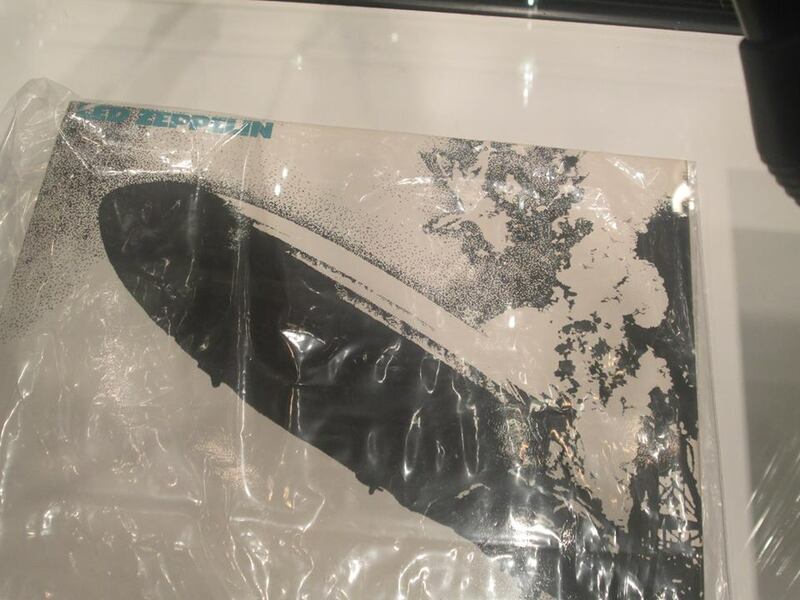 Bonhams Auction Entertainment/Memorabilia sale preview last night – lot 230 first pressing of the Led Zeppelin’s eponymous debut album, 1969, Atlantic 588171, the front cover with turquoise lettering, orange/maroon labels with Superhype Music publishing credits –being Sold on behalf of Oxfam. 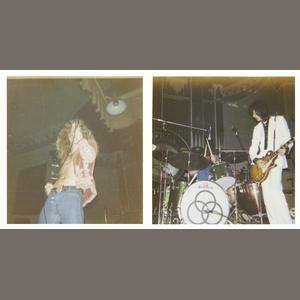 Led Zeppelin: Photographs of the group onstage at Aberdeen, 25th January 1973. 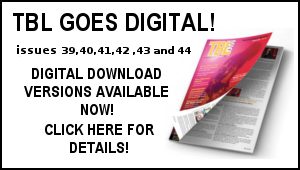 I had a look a these – I’ve seen copies of these over the years. 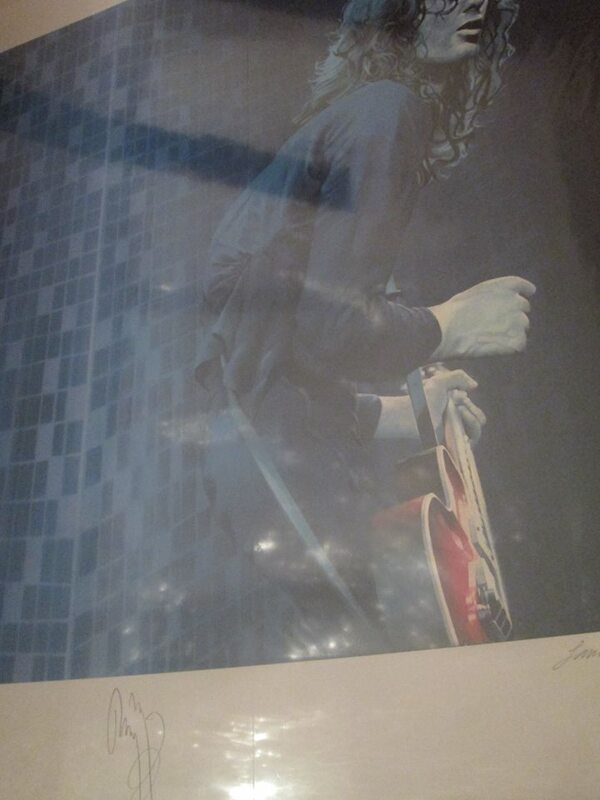 Jimmy Page: A colour silk screen print of Jimmy Page by Sandra Lawrence, 2000, signed and dated by the artist, numbered edition 298/300, additionally signed in pencil Jimmy Page, 33 x 30 inches (84x76cm.) 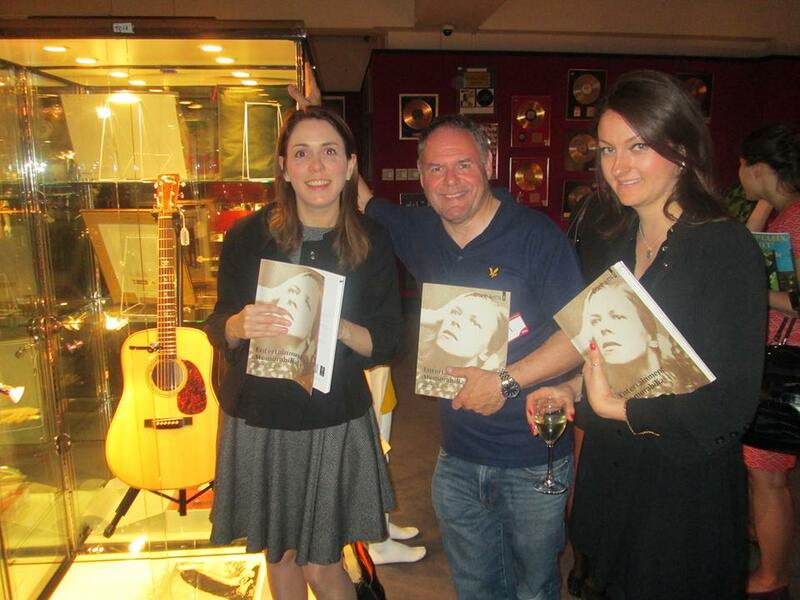 Sold on behalf of the Action for Brazil’s Children Trust. Led Zeppelin: A poster for the ‘Bath Festival Of Blues & Progressive Music ’70’, held at Shepton Mallett … credit to Oozedesign, London, the line up including Led Zeppelin, Pink Floyd, Jefferson Airplane etc. Many thanks to Georgina Parker and Nathalie Pownall at the ABC Trust and Stephanie Connell and Katherine Williams at Bonhams. Third show this week was over 2 hours drive away up in beautiful Santa Barbara tonight. Had very good seats tonight up close. 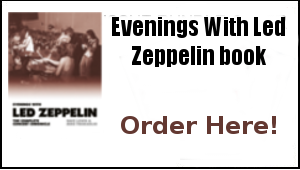 Another excellent gig, if not quite as good as Wednesday because the crowd was older – Santa Barbara’s demographic – and not quite as vibey even though people were clearly enjoying it. When I saw Band of Joy at the same venue two years ago, Plant sang “All My Love” for the first and only time since Led Zep in 1980. 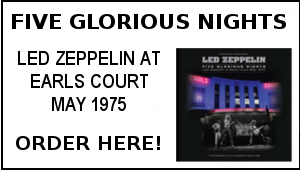 No rarities tonight – I’d hoped to hear this band’s version of “Angel Dance,” which they’d played early on in the US tour – but we did get the US tour debut of “What is and What Should Never Be,” which rocked. Skin and Justin Adams did a great job with the panning stereo effect guitars at the end of it. This is Plant’s best solo band. He is on fire at the moment. And his voice is astonishingly powerful and dynamic right now. This band has developed a lot since the debut Gloucester show and the chemistry between the players is very clear. as mere oddities, seldom conveying the passion and power of the originals. Indeed, there were times when Plant would run a Led Zep tune through the America/world music blender and the result would be something ripe for a “Saturday Night Live” skit. The worst was “Black Dog,” a once magnetic number that was juiced up with West African rhythms to the point where it sounded like an outtake from Paul Simon’s “Graceland” sessions. 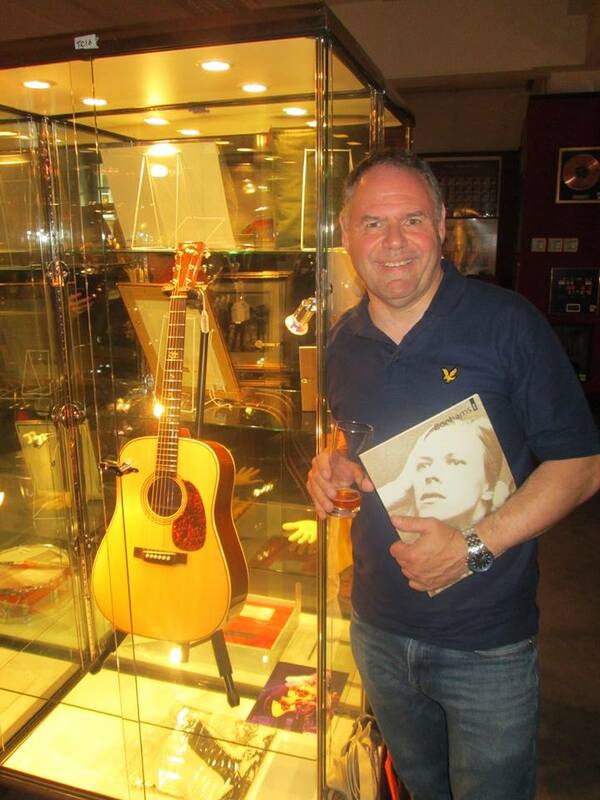 Dave Lewis/Gary Foy – July 2nd, 2013. Dave you are amazing always where the action is! 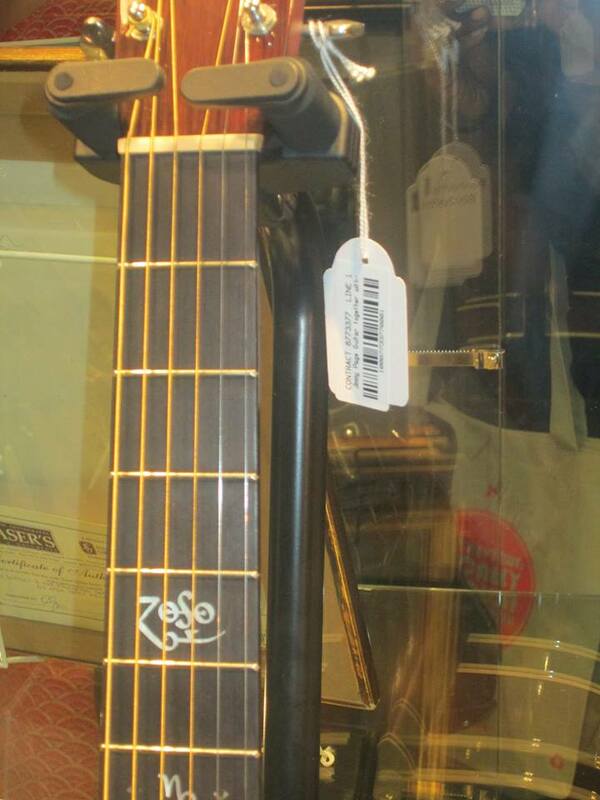 JIMMYS guitar sold for £21000! the turquoise for only £900.Very intersting what sells and what doesnt.